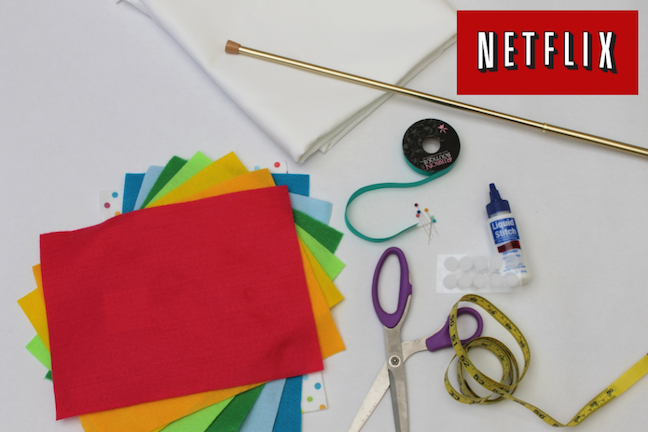 Last summer, I teamed together with Netflix’s Stream Team and crafted this super easy and NO SEW (hold your applause, please) stage curtain for all of your budding performers. 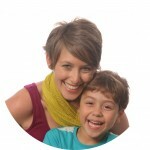 Here is the original post on my other website. Step 1: Measure your doorway with your measuring tape. Determine how wide and long your fabric should be and then leave at least one addition each on each side and bottom of your fabric. On the top, leave an addition four inches. Create a hem by folding the extra inch on top of itself. 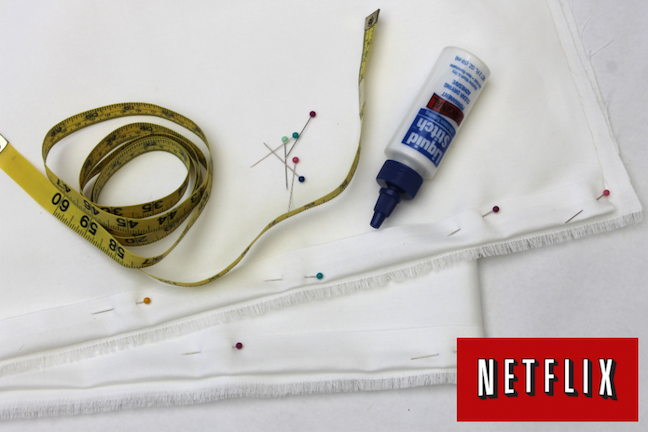 Use the straight pins to hold in place, then drizzle Liquid Stitch Glue on the fabric. Let dry. When gluing the top, make sure your tension rod can easily slide through the hole. 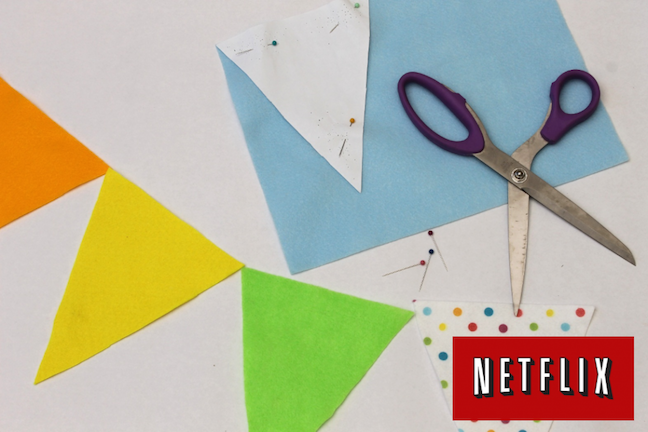 Step 2: Create a template for your flag bunting by drawing and cutting a triangle out of your piece of paper. Then pin the triangle temple onto the felt and cut it out. Repeat until you have all of your triangles that you need for your stage curtain project. Step 3: Spread your curtain on the floor or work surface. 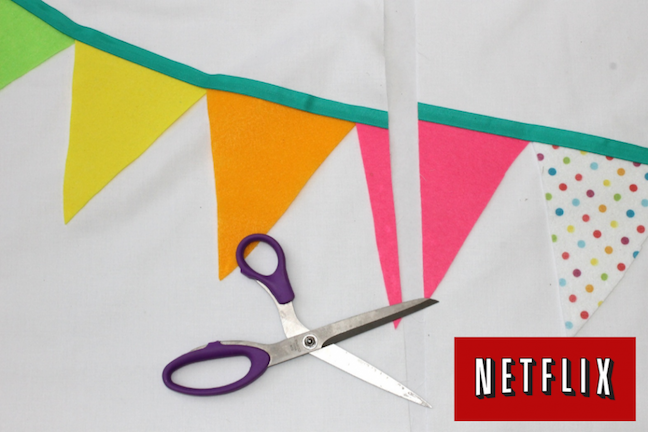 Arrange your triangles on the fabric to make a bunting look. 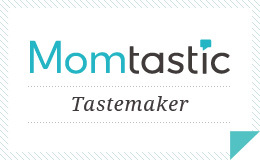 One your satisfied, place your ribbon over the tops of the triangle. Cut your ribbon. 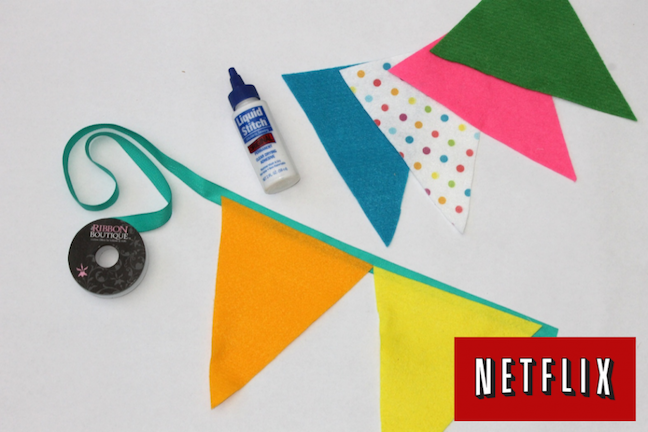 Then glue both the ribbon and felt triangles together to make a bunting.. Let dry. 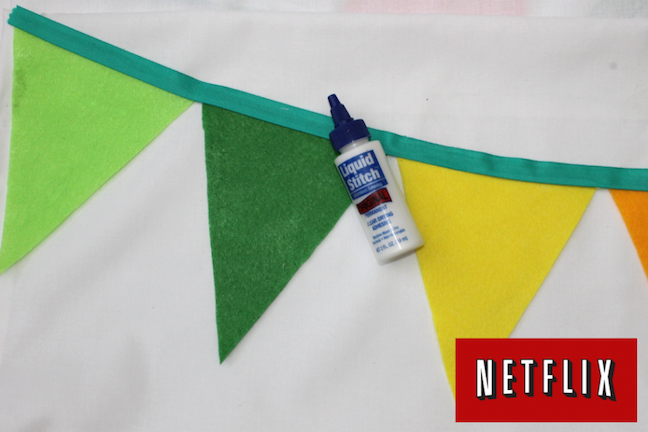 Step 4: Glue your bunting to the stage curtain. Let dry. Step 5: Create a crease in the fabric by folding the curtain in half lengthwise. Cut the fabric lengthwise, ¾ of the way up from the bottom. Step 6: Stick your curtain rod in the top pocket and hang on your door. 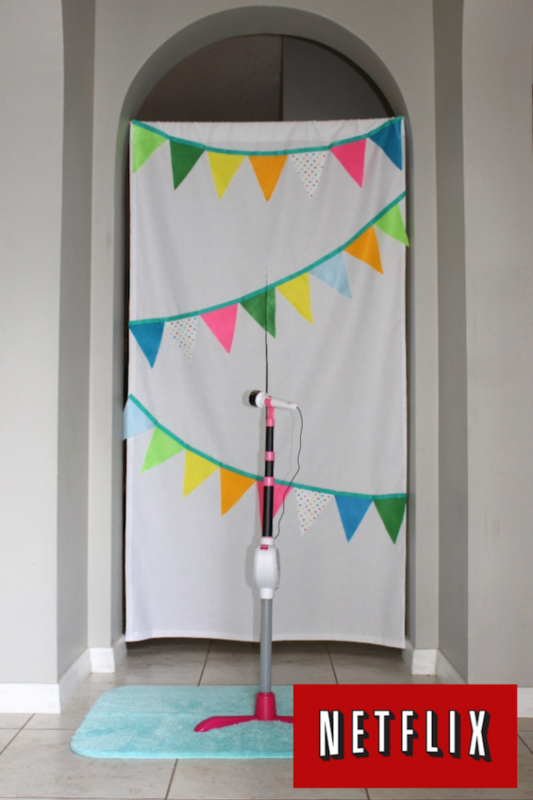 Stick self-adhesive Velcro dots to the curtains opening to help the curtain flaps stay closed to give your kids the chance to make a dramatic entrance.